The Bachelor franchise has always been political, but it's never acknowledged that politics exist before, says Kathryn VanArendonk. "It’s deeply entrenched in the politics of marginalizing people of color, celebrating and prioritizing privilege, and reinforcing stereotypes of gender and romance," she says. "It’s also always pretended that it’s completely neutral and none of those things exist. Any overtly political subject feels so out-of-bounds, so completely anathema to the show’s false veneer of inhuman romance, that brushing up against the hint of politics feels like a shock. It is surprising that the franchise finally felt so pressured by the political climate that it had to incorporate Garrett’s scandal into its fairy-tale world. But it’s not at all surprising that The Bachelorette responded to (the Garrett Yrigoyen Instagram) scandal by ignoring everything political about it." 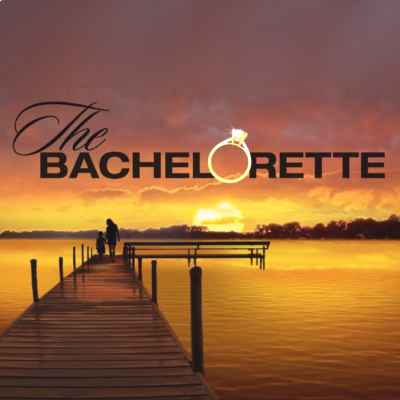 VanArendonk adds: "This season of The Bachelorette was presented with a political scandal, one that includes the messy intersection of social-media trolling, the selves we perform online versus the selves we perform in person, Trump-approved ideology, transphobia, the conservative fondness for casting immigrants as animals, and dangerous far-right conspiracy theories. Its response was to reframe the entire scandal as an easily surmountable obstacle in the path of a nice romantic relationship." Garrett Yrigoyen responded to reporters' questions on his Instagram scandal: "I don't believe David Hogg is a crisis actor. No, I don't"
Becca defended Garrett: "When you use social media to create a judgment on somebody, it is such a small sampling"